What should you choose as the main strategy for Digital Marketing – SEO or PPC? With the evolution of the internet and digital technologies, Digital marketing has emerged as one of the main marketing streams. Digital Marketing is all about marketing your product or service using digital media. It encompasses various methods like SEO, PPC, SMO, SEM, e-commerce marketing, data-driven marketing, e-books, SMS marketing, e-mail marketing, and many more methods. With various options at your disposal finding the right set of methods to market your product or service proves to be a challenge. SEO and PPC methods of digital marketing have their own share of pros and cons. Let’s dig deep and find out which caters to the business needs better. SEO is an Internet Marketing Method. SEO enhances the visibility of your products or services, on search engines, when searched for. For instance, let’s assume a consumer is searching for a digital marketing company on the search engines, and you are offering the exact service. SEO helps to rank your website higher and makes your website appear in the top search results of the search engine. It appeals to the organic search results and focuses on national or international level searches rather than local search engines. 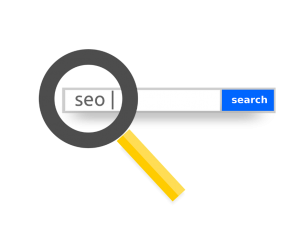 SEO relies on the know-how of the page-ranking system of the search engines and altering the content on your site using niche specific keywords, to ensure your page is picked by the search engines when a query comes in. SEO builds a brand and establishes credibility and trust since it is organic marketing. It is a pocket-friendly mode of marketing your service or product online. But on the flip side of the coin, when using SEO, the website should have credible and quality content, and a solid strategy in place to pull off marketing based only on SEO. Pay-per-click is a mode of Search Engine Marketing. Let’s make things simple with an easy explanation of this concept. The owner will advertise his product or service on the search-engine, with relevant keywords and details. 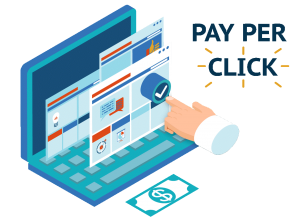 When a consumer clicks on the Ad, it directs the consumer to the advertiser’s website, the advertiser will pay for every click the add gets. PPC Ad’s appear above the organic search results. PPC gives you better positioning of your products and services. PPC is about how much money you can invest in. It gives you value for money by giving out ad’s to targeted customers quickly and gives you first-hand knowledge of how the market works. PPC gives you the flexibility to choose how to target and market your product or service. All said and done, PPC comes down to the main thing budget. PPC can turn out to be a costly affair in the long run if there is no strategy in place. So what is ultimately better – SEO or PPC? Well, both have two faces to the coin. Choosing the right strategy ultimately depends on budget and time. If you have time on your hands and are looking for a budget-friendly option SEO is your method. But if you are looking into instant business, then PPC is definitely your best bet. But, what if you combine both methods? Well, that’s a topic for another post. Anmol S Kohli is an Entrepreneur and a Digital Marketing Expert. Certified from a variety of marketing schools and companies, Anmol aims to help the world of businesses get more business and helps them acquire clients easily. Do you want to schedule a free consultation? Email Anmol on anmol@marketerstop.com! Have a good one!